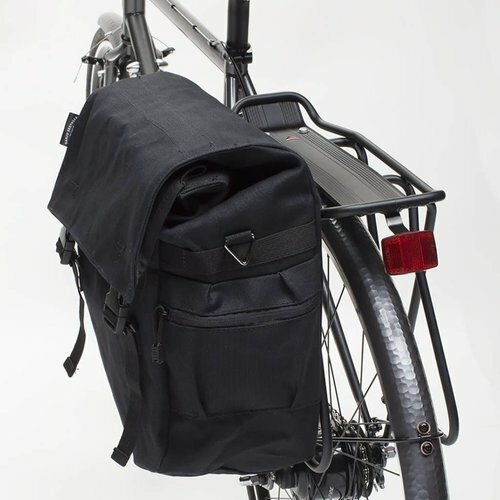 A super-attractive alternative to garnish nylon panniers. Classes up almost any bike. 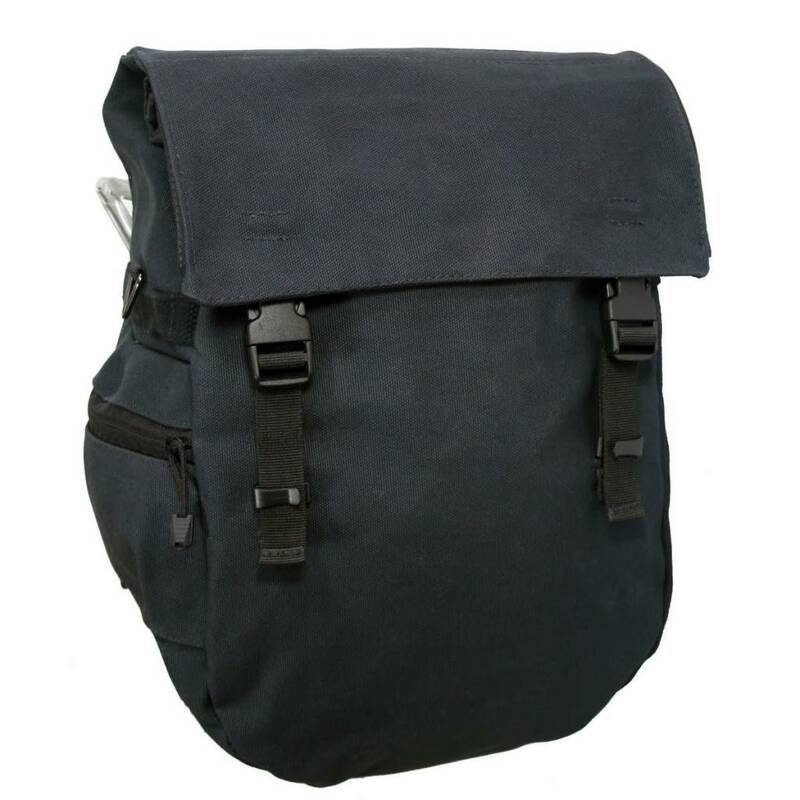 Let's say you love the classic look of canvas, but you need the peace of mind that only a waterproof pannier can provide. Now you don't have to compromise. The Banjo Brothers Minnehaha Series Waterproof Canvas Pannier is made from a stout 20 oz. dry-waxed canvas. The impregnated wax finish helps the natural canvas fibers shed water. That's great in and of itself, but the real deal chief is the removable and replaceable waterproof liner. A rigid polymer back panel keeps the pannier from sagging. 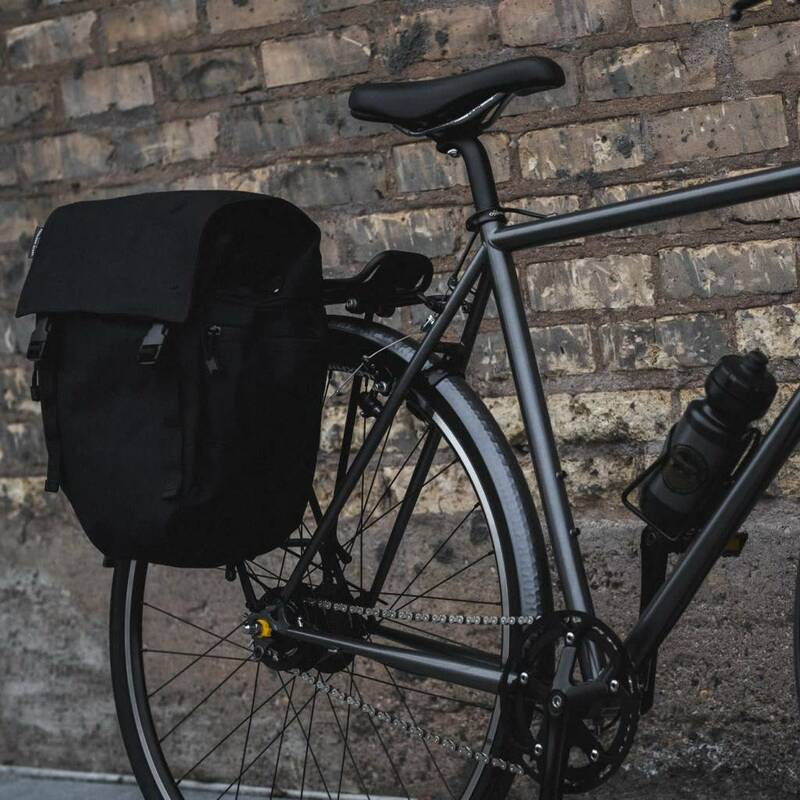 The basic hook and retention straps fit most racks with tubing up to 12 mm. (Racks like the Axiom Journey are a good choice for use with panniers) Two outside pockets for quick access and a place to put your flashing light. Sassy. Imported.